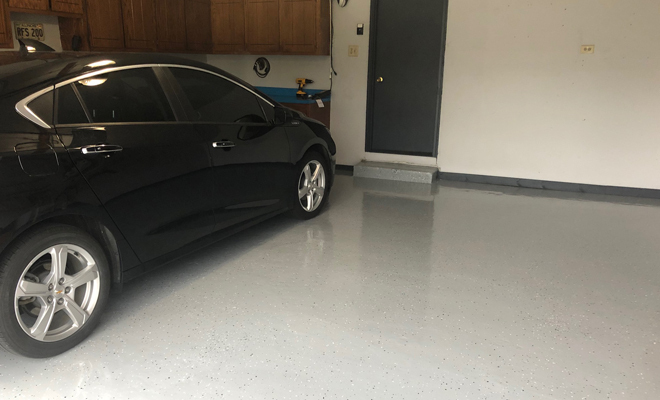 So you want a $99 garage floor kit in a box that requires very little floor prep, looks great, will not lift from hot tires and has a great warranty, perhaps even a lifetime warranty. The truth is it’s not going to happen! We all want instant gratification. 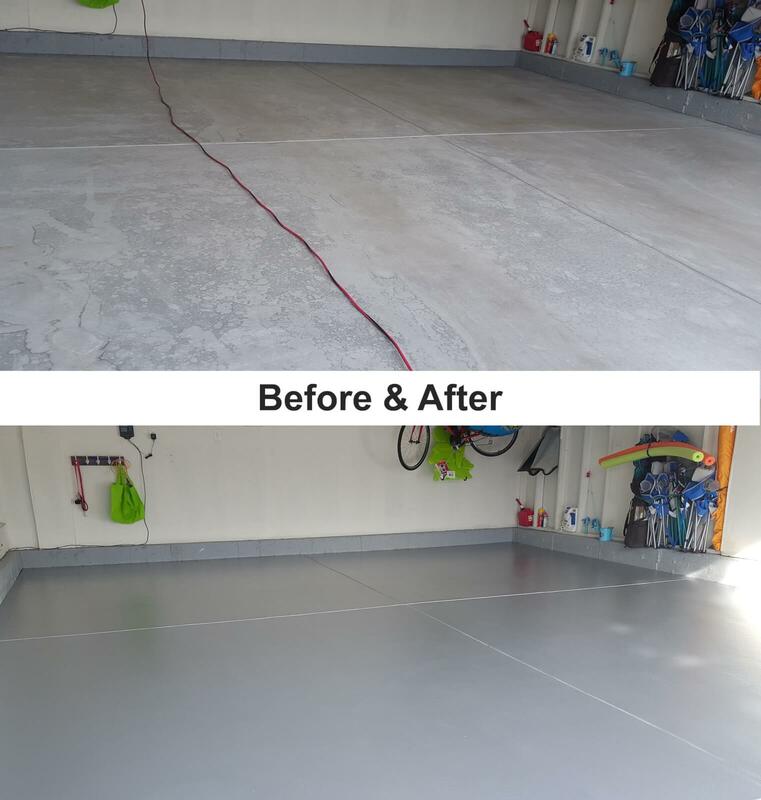 Win the lottery; have that online business that we manage from the beach; an amazing body without working out from some magical pill; a perfectly behaved child from a 6-week course and now an instant garage floor coating that magically preps and coats your garage floor. The old saying “if it sounds too good to be true, it probably is,” still applies. It is human nature to want to believe these things, but we all know it is simply not possible. The first time I walked past an end cap at my local big box lumberyard I literally turned around, jaw dropped, and took a picture. I have to admit for a moment I thought, we need to order some and sell it. Like I said, its human nature. 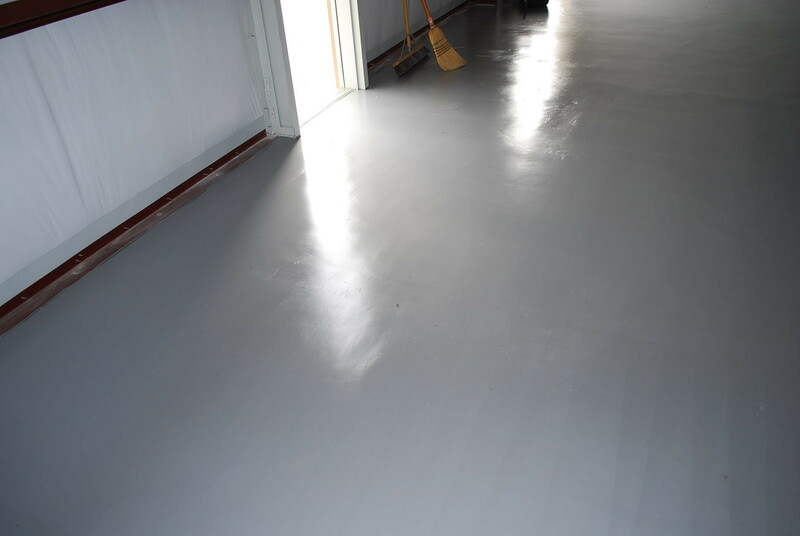 A little bit of reading revealed the product was more water than epoxy and did not even include a top coat. 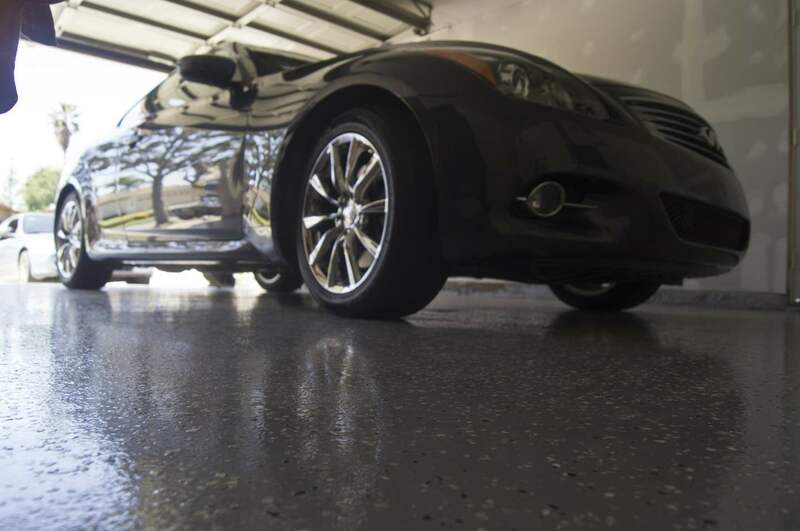 That was ‘optional.’ The little or no prep was the equivalent of pouring orange juice and pixie dust on the garage floor and the warranty, is not a whole lot of help. 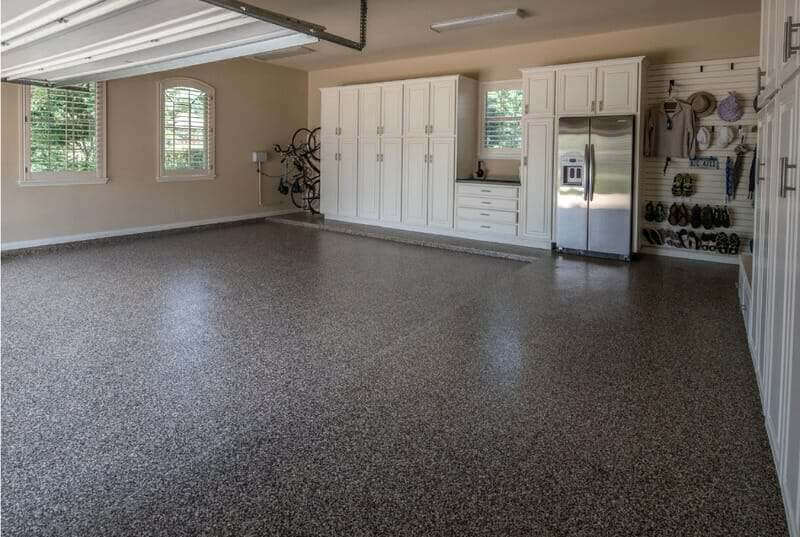 Let’s pretend for a second that you purchased and installed two of these kits for your two car garage. You emptied everything out, prepared the floor as instructed, left your car off for a week and then pulled in. Let’s say 6 weeks down the road, or even 6 months, the floor starts to fail. 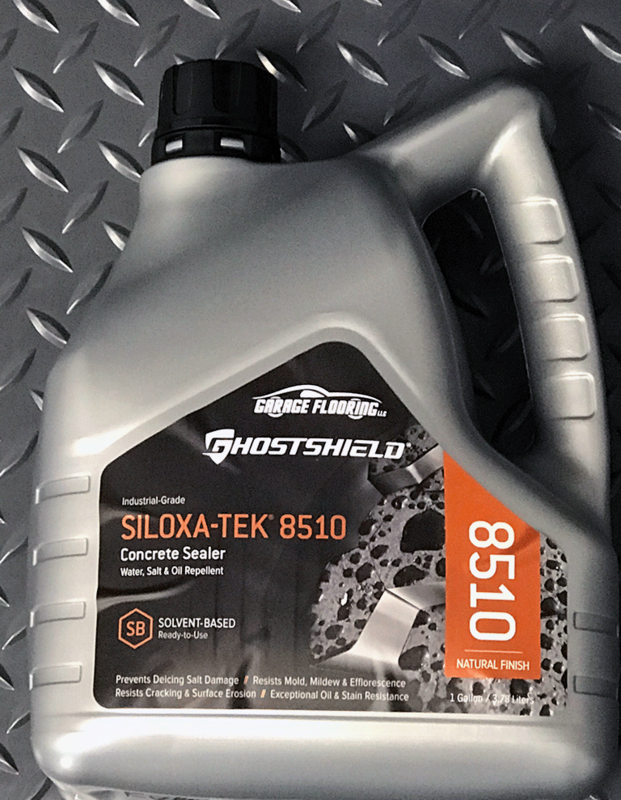 You call the toll-free number, and the warranty entitles YOU to do it all again. They will gladly ship you a couple of containers, containing mostly water so you can take all that effort a second time, only to have the same results. My opinion is they are taking your $99/kit and betting you will not bother to do it again. The issue does not stop with the $99 kits. 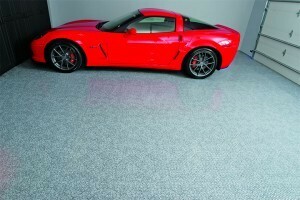 You can go online and find all types of garage floor epoxy kits. Many of us make it out to be easy. A few of us even present it as cheap. The truth is, done properly, it is neither! 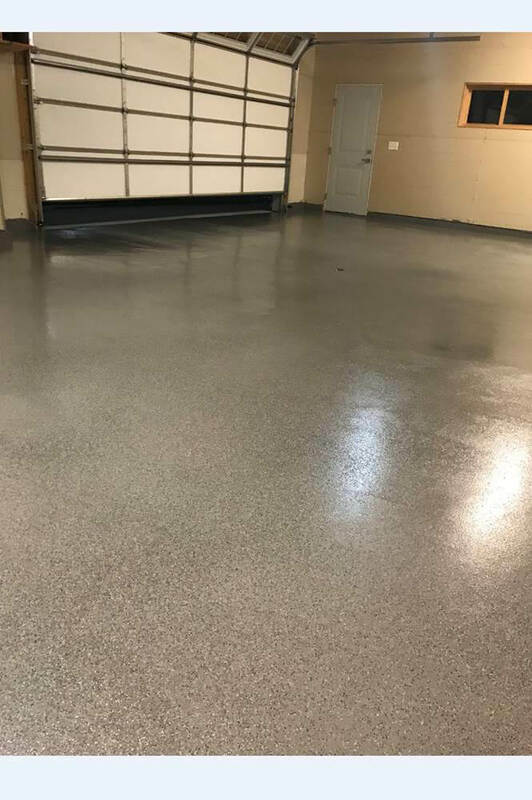 When a customer calls me and asks what I think of garage floor epoxy, I let them know that I think it is a beautiful floor, when properly installed but that it will take a lot of work and likely be way more expensive than they thought. Most customers respond by saying “why do you sell it then?” Well, because you think you want it and my job is to make sure you know what you are getting into. If you do, that’s awesome and we have an outstanding product. If you don’t, you are going to think we are over priced and making it sound harder than it is. 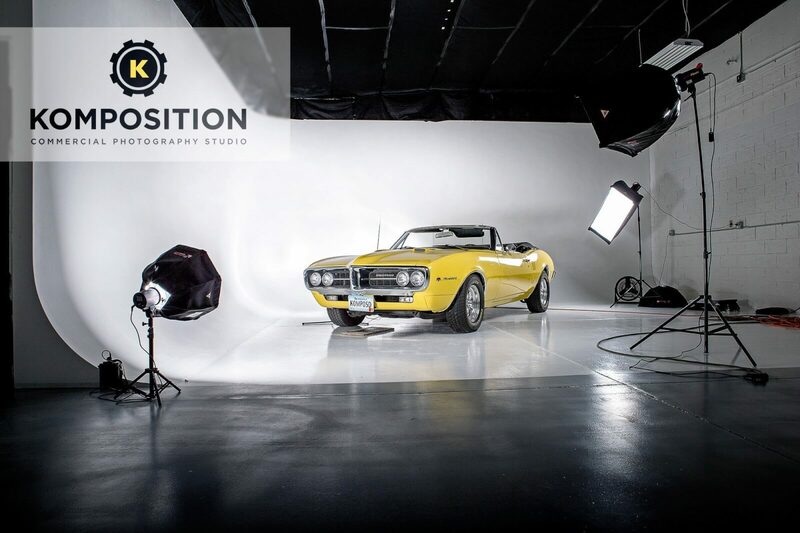 While many in the industry would sell a cheaper product and make it sound like less work, to get a sale; I would prefer to sell a quality product and let you know exactly what is involved. It’s really that simple. 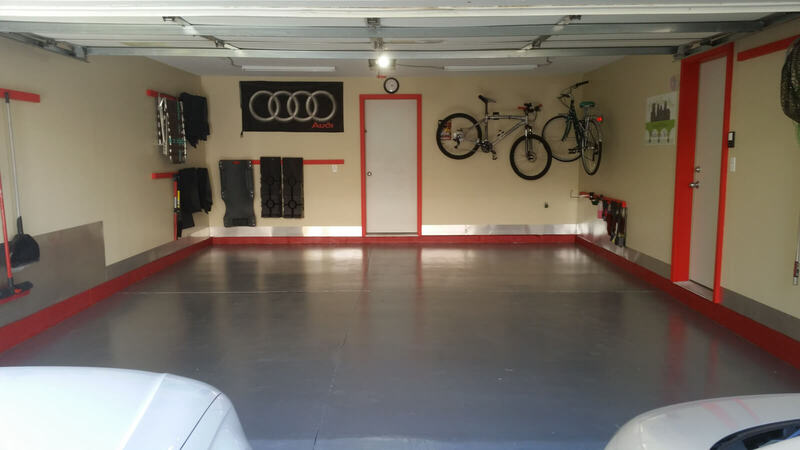 To properly do an epoxy floor, you will need to clean out the garage. 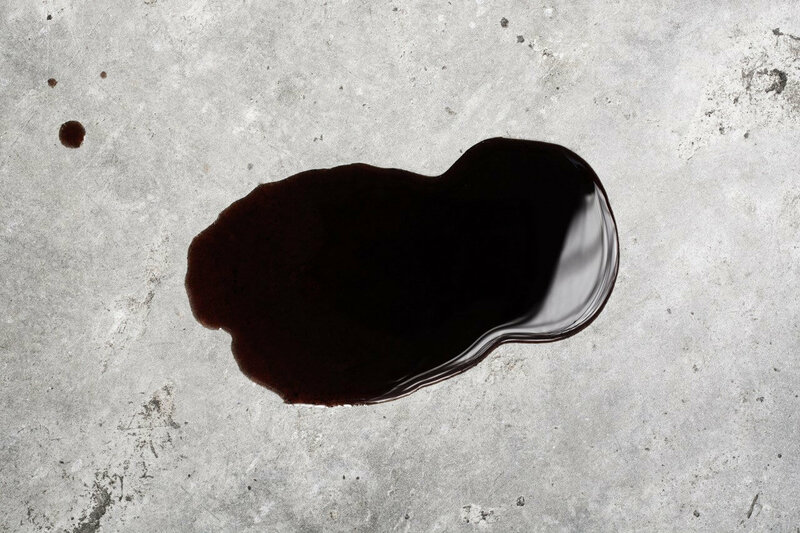 Acid etch or grind the floor. Make sure you got the profile you needed and if necessary repeat. Then clean and or neutralize it. Moisture test it. Prime it. Coat it. 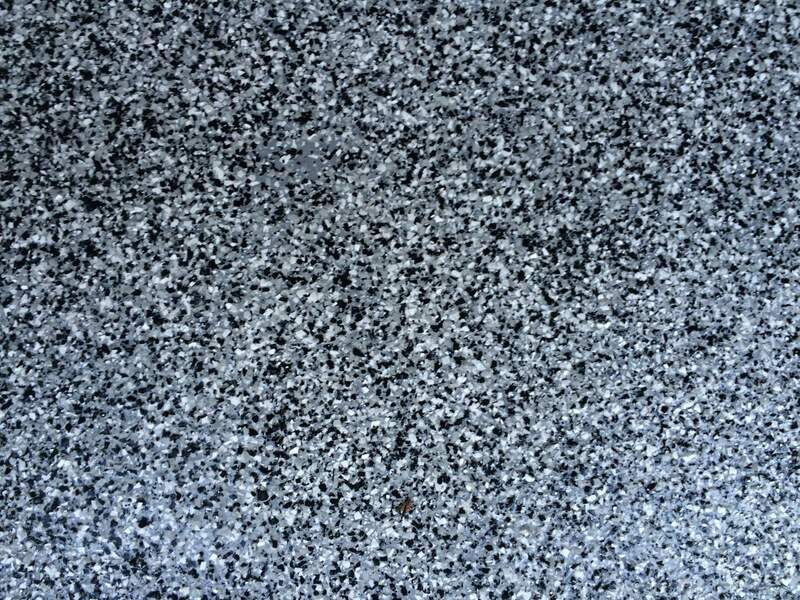 Broadcast flakes. Coat it again. Let it sit for 7 days and then move everything back in. 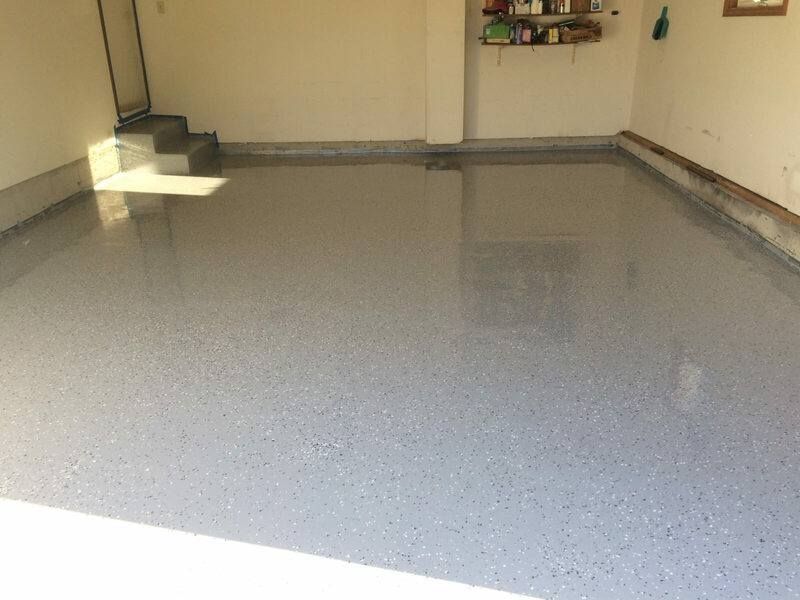 To properly do an epoxy floor you will want a 100% solids, high build base coat that is chemically resistant to the things in your garage. Then you will need flake, maybe even lots of flake. And of course a top coat. 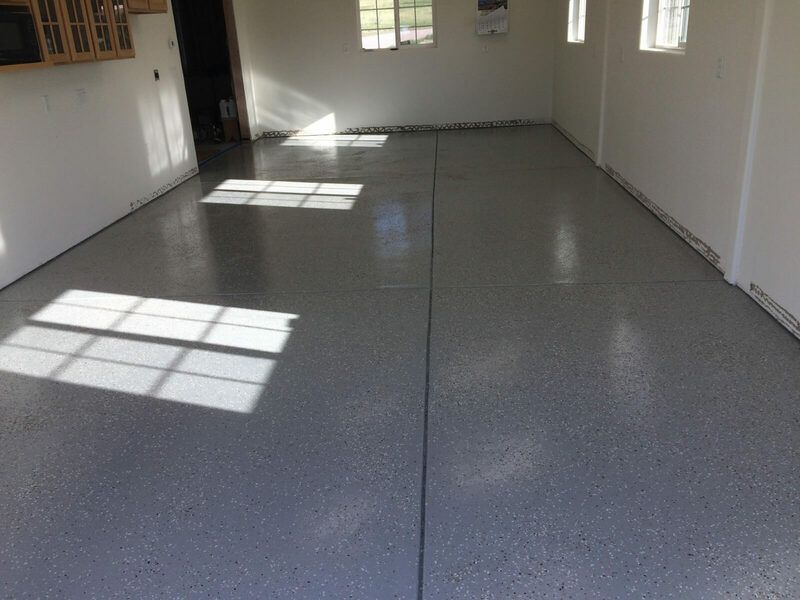 At the end of the day, when you use a quality distributor, do the work and buy a quality product, you are going to have an unbelievable and long-lasting floor that your friends and neighbors will drool over. 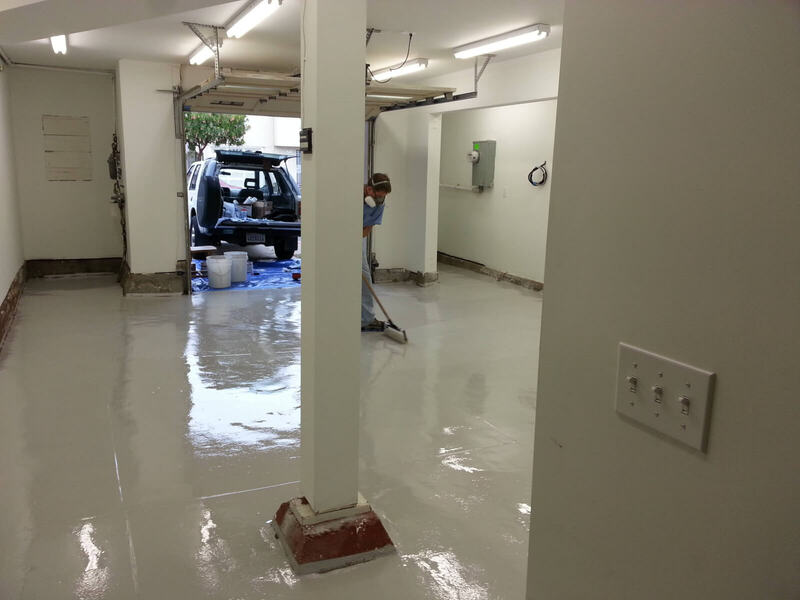 I LOVE epoxy and we sell a decent amount of it. 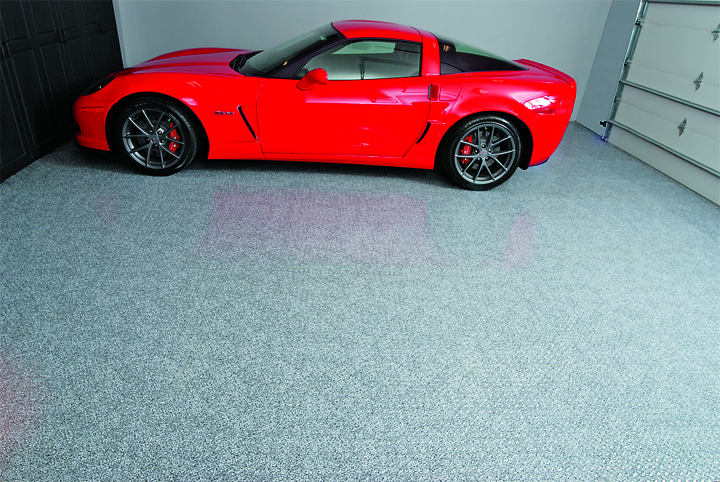 We just prefer to sell good product to people who are educated about exactly what they are getting into. We would prefer to lose a sale than lose your trust.